Dr Foot's Sports Insoles work wonders on problem-prone feet. 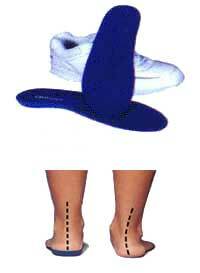 These Insoles are biomechanically engineered to help relieve ankle sprains. Dr Foot Sport Insoles are engineered to combat over pronation and provide greater stability maximum support. Ideal for patients seeking arch support for prevention and treatment of ankle sprains.